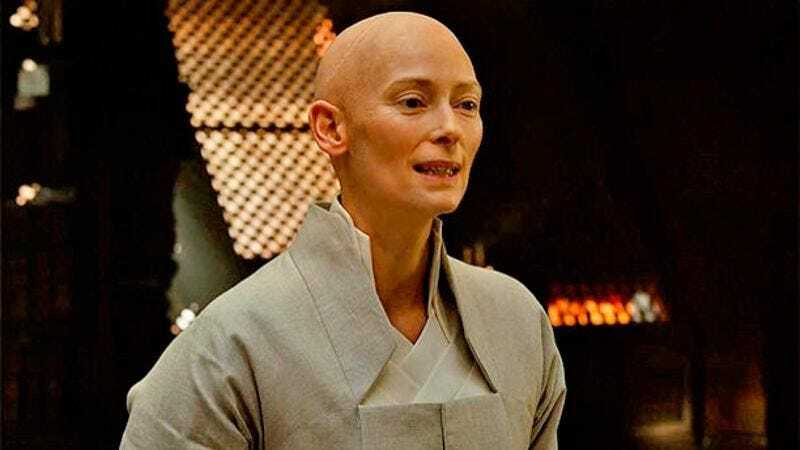 Tilda Swinton was at the center of arguably Marvel Studio’s biggest controversy to date when it was revealed that she had been cast as The Ancient One in the upcoming Doctor Strange. Traditionally depicted as a Tibetan man in the comics, the film decided to cast a white British woman instead and then—most confusingly of all—basically just dress her as a Tibetan man anyway. (Screenwriter C. Robert Cargill offered some rather muddled explanations as to the reasoning behind the casting decision.) Anyway, Swinton doesn’t seem to have let the controversy get to her. In fact, she’s pushing for an Ancient One solo film. While Swinton has promised that her casting as The Ancient One makes more sense in context than it does on paper, it’s not yet clear whether audiences will feel the same way when the film opens on November 4. But regardless, given that Marvel isn’t even releasing its first female-led film until 2019, it seems highly unlikely that a controversial character played by a 55-year-old woman is going to be the studio’s next choice for a protagonist. But, hey, stranger things have happened.